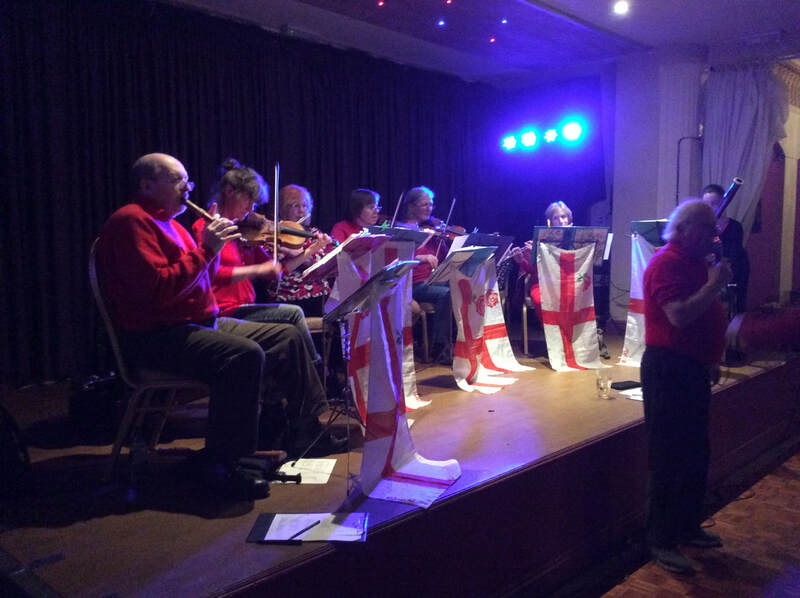 This site is for information about the St George's URC orchestra and ceilidh band. 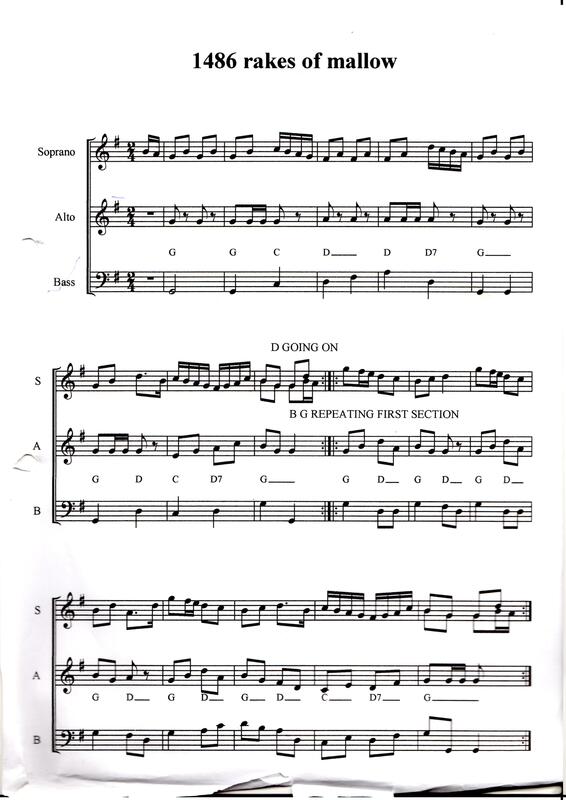 For more information please contact Christine Oakes or otherwise Andrew Hamnett for details of the orchestra and Jared Johnson or Gill Armstrong for details of the ceilidh band. 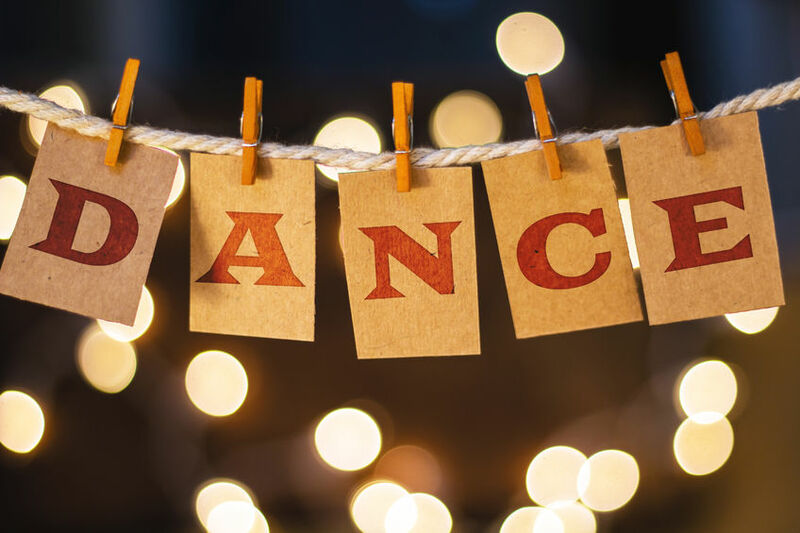 We are always pleased to see new members of the orchestra and the ceilidh band: we aim to include anyone interested in our music and willing to share the fun of playing together. 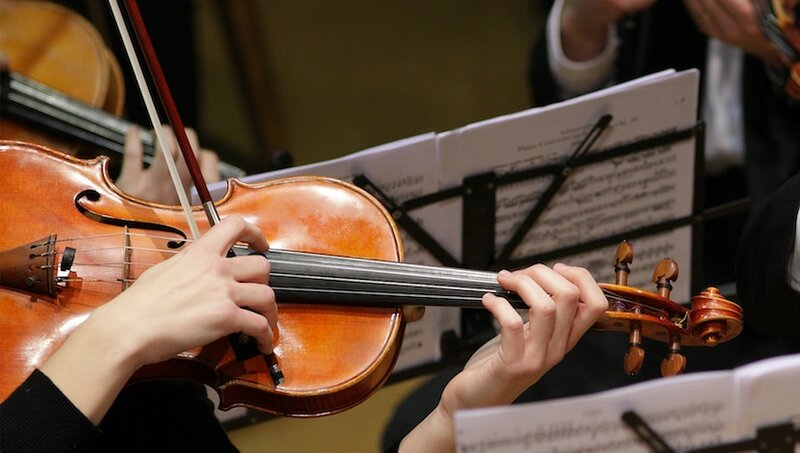 The orchestra plays for worship once a month and the ceilidh band plays for the country dance club once a month, as well as similar events at other churches. 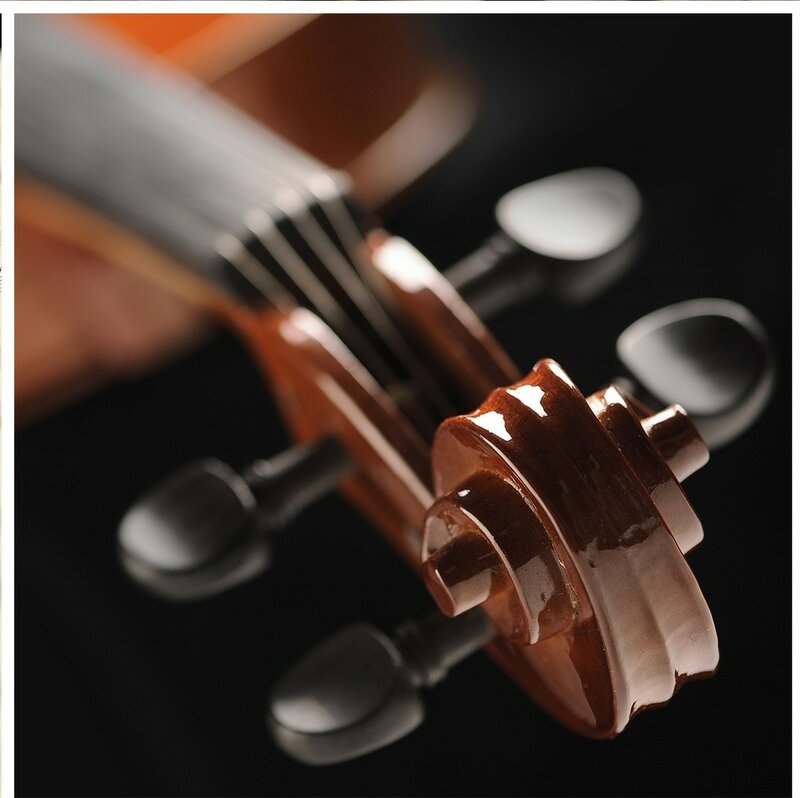 Regular and occasional players are welcome to both the church orchestra and the ceilidh band. A list of dates for both groups is given below - purple for orchestra, turquoise for the ceilidh band and black for both. Please ask to be put on our e-mail list if you are interested in joining any of the events. 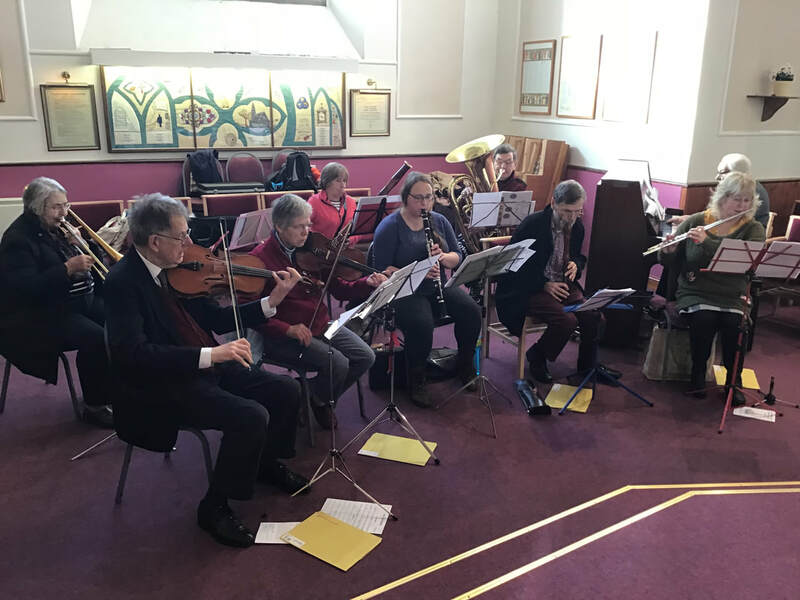 Orchestra playing for the Women's World Day of Prayer on 1st March 2019 at Morpeth Methodist Church. This service was based on music and ideas from Slovenia and was very well received by the congregation. Photograph courtesy Shirley Forster. 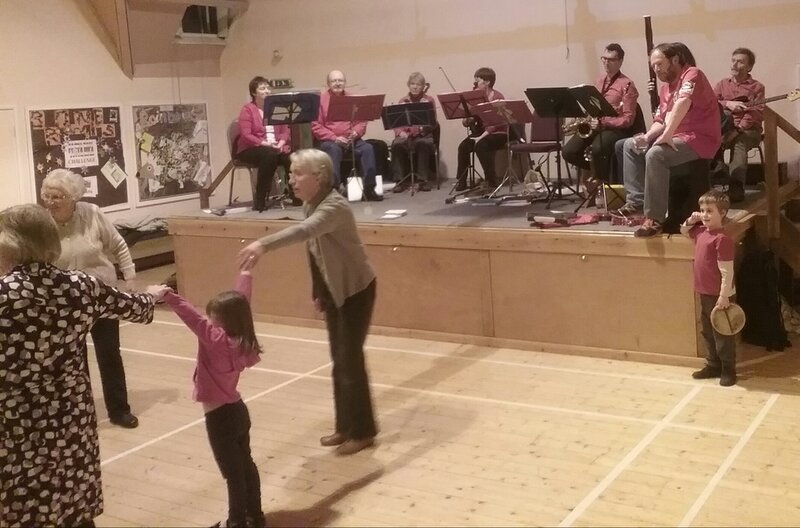 Photograph sent by Gill Armstrong showing the Ceilidh Band playing for the 4th Morpeth Scout Group Ceilidh, with Jared Johnson at the caller. A You-Tube film from Morpeth TV News showing the beginning of the ceremony with an introduction by Nora Campbell, this year's main church organiser. 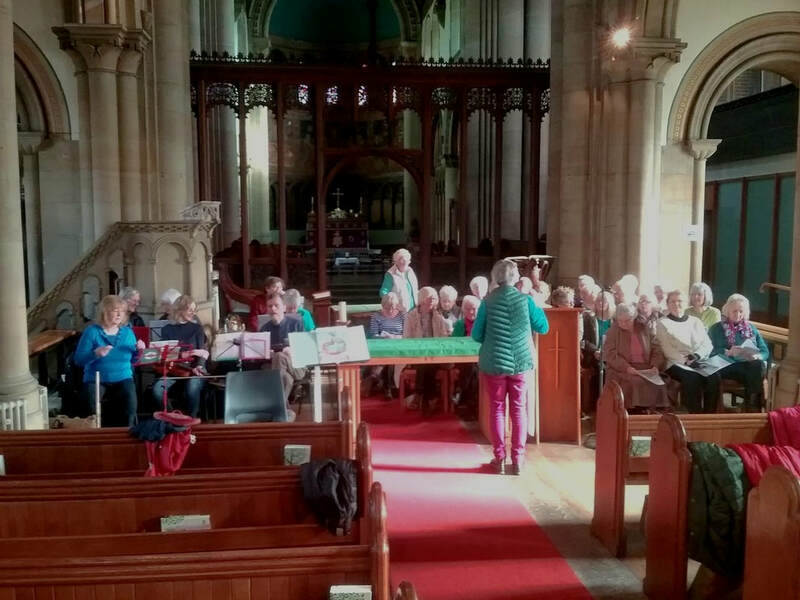 Photograph from Shirley Forster of the band and choir rehearsing on Friday 23rd February at St Jams' Church for the Women's World Day of Prayer. 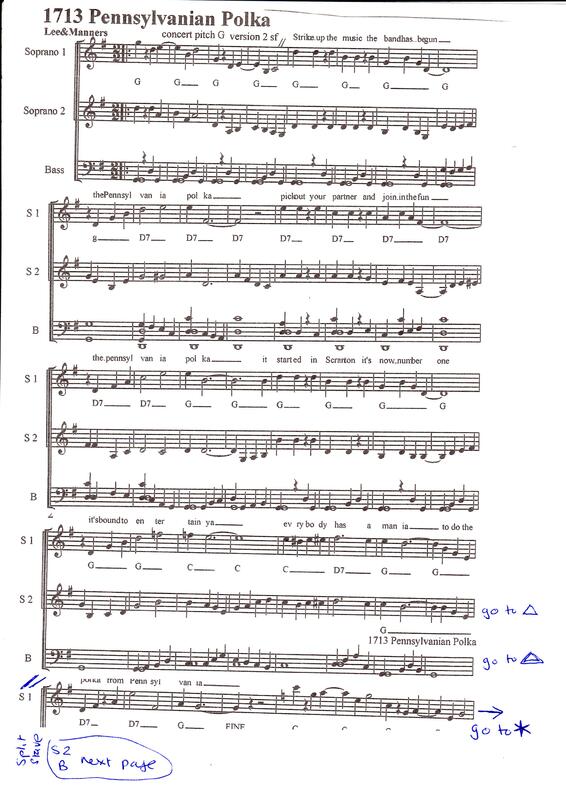 The service itself will be on Friday the 2nd March at 2.00 pm with the final rehearsal at 10.00 am. 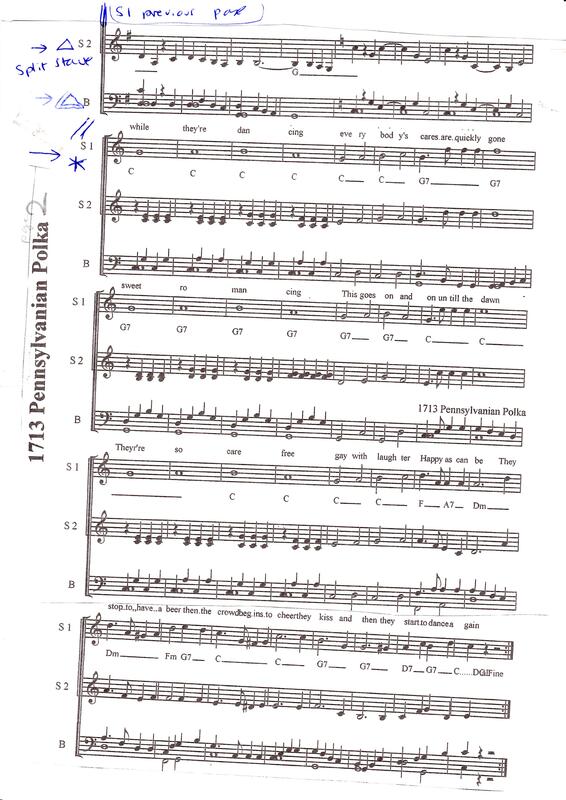 The photographs shows Harriet Gilfillan conducting the choir and the orchestra in the music which is themed this year on the country of Suriname. The band played for evening service at Great Bavington on June 18th 2017 in glorious weather. They are seen here practising outside the historic church before the service.